The System Preferences app on the Mac contains about 30 icons, each leading to additional settings panes. 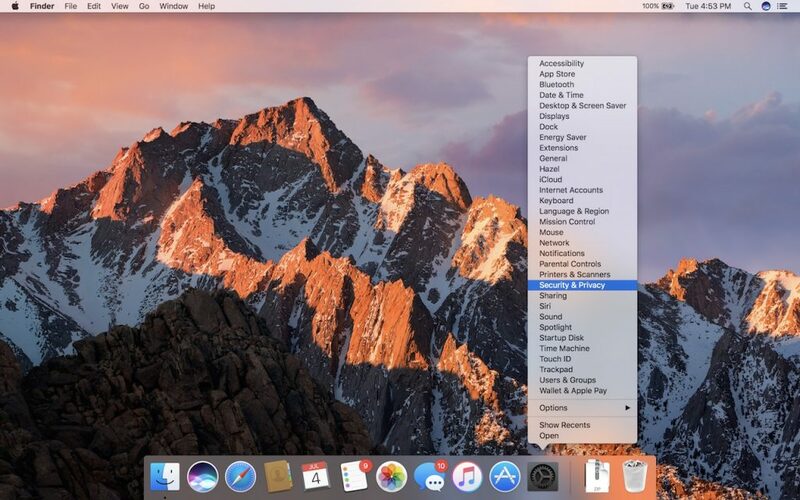 Rather than opening System Preferences, scanning the collection of icons, and clicking the one you want, you can jump directly to the desired pane. Just click and hold on the System Preferences icon in the Dock, and choose a pane from the pop-up menu.